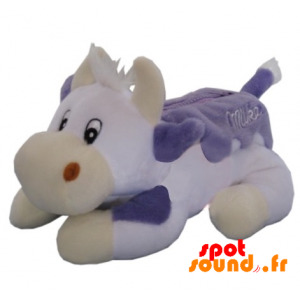 Very pleasant to the touch, cute and original, this Milka kit in a white and purple cow will make a wonderful gift. For a fan of chocolate, for animal lovers or to make a nod to a friend, this kit stuffed, plush very original is the one! Customize and choose its dimensions for even more fun! 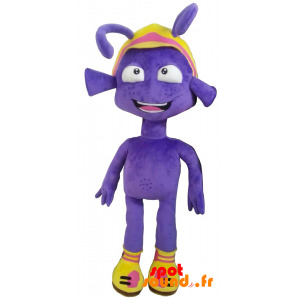 Impressive, entertaining and original, this plush Zog, friend of Astro Boy, the famous cartoon character, keep you company for your child. Your little sprouts found in this robot, a playmate with whom he will live great adventures. Plush very successful Zog. Adaptable to the size you choose and tell us the desired dimensions! 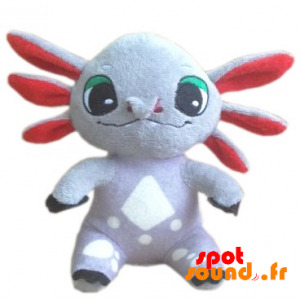 With this plush that will put everyone in a good mood, go ahead and offer it to a close! 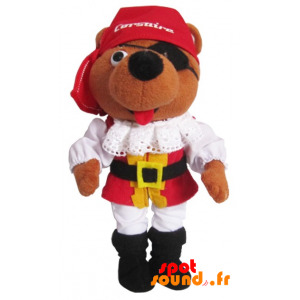 your child will bring this dressed in pirate bear wherever he goes! Class, this colorful and original pirate brighten your child's room and your home! Adaptable to the size you want, this pirate bear is made to measure in our workshops. quality fabric! Very cute dolphin plush, gray and white, with a small smile. 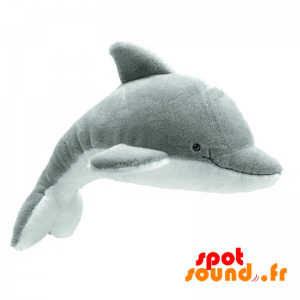 Very realistic and cute, this pretty dolphin easily find the place on the bed of your child or in your home. A toy is a great gift that follows your child for many years, he plays with, leads everywhere. Choose dimensions lint, adapting it to your needs! 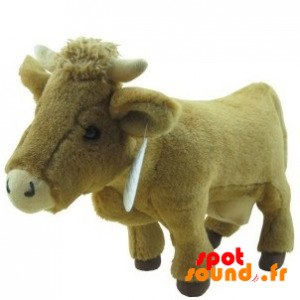 Cow plush, brown in color, with a very soft, silky hair. She will accompany every night of your child or decorate wonderfully your butcher, your restaurant or your store. 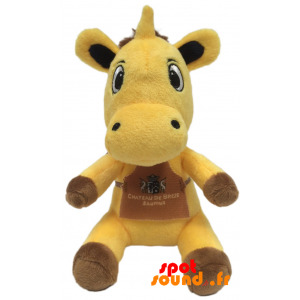 Nice Christmas or birthdays, with this plush, the surprise is guaranteed! Add him an outfit and accessories to suit your needs! Choose size! 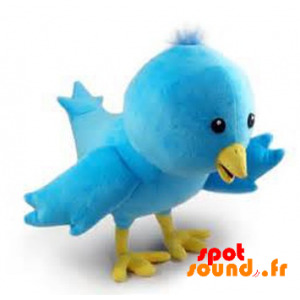 To get a message across, do a wink to a friend or colleague, offer this pretty blue and yellow bird Twitter. Very cute and successful, everyone crack for Harry, the famous mascot of the social network Twitter. Take a look at our accessories for even more fun and choose the size you want to get the bird to the size you want! For a town hall, tourist office, offering a souvenir or to wholesale, the gray tower of the city of Turon will be ideal. Adapted size, color, accessories to personalize your picture! Sweet, fun and quality, this tower plush is machine washable. For pus information, do not hesitate to contact us! Pleasant to the touch, entertaining and original, this plush Trashcan, faithful robotic dog friend Astroboy, held company for your child. Your little sprouts found in dog a playmate with whom he will live great adventures. Plush very successful Trashcan. 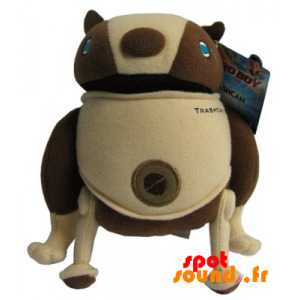 Fun and unusual, this robot teddy will be ideal. Adaptable to the size you choose! To make a wonderful gift for a birthday, for Christmas or to decorate the house, this pretty axolotl, this Mexican salamander, purple and red give the best effect to your interior. Very original and unique, this teddy water salamander will delight young and larger. The dimensions and the holding are customizable. 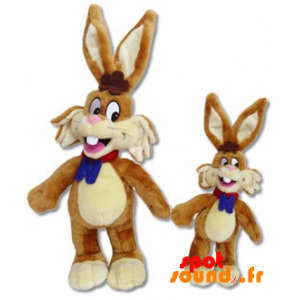 To offer a chocolate lover, for your child or for yourself, this plush rabbit Nesquik is ideal! Beautiful and quality, this famous rabbit breakfast will be happy! Jovial, gentle and funny, it will make an excellent gift. Choose the size of your favorite rabbit, confections we all custom fluff. For children over 3 years. Very nice green turtle plush. 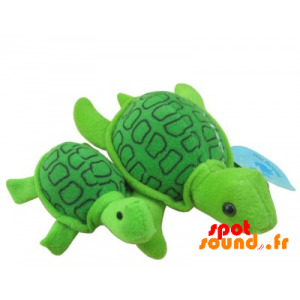 Very realistic and full of sweetness, this beautiful realistic turtle easily find the place on the bed of your child or in your home. A toy is a great gift that follows your child for many years, so do not wait! Choose dimensions lint, adapting it to your needs! Be cool by offering this fox in orange and white plush sports outfit! Renard sweet and cute, fully customizable, which will please all occasions! Everyone will fall under its spell! This animal of the forest, very entertaining is made to measure in our workshops, you must choose its size when ordering. Do not wait any longer ! 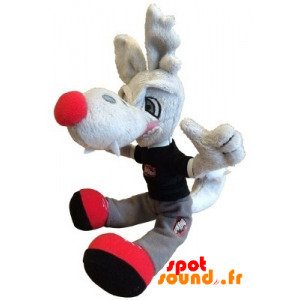 Coyote gray plush, with big ears and a red nose. With its beautiful colors, his smug, her lovely coat to the touch, the effect is assured. Feel free to offer this wolf, coyote that, in all circumstances and take a look at accessories for teddy proposed below. This coyote plush charm children can have fun to dress as they please! 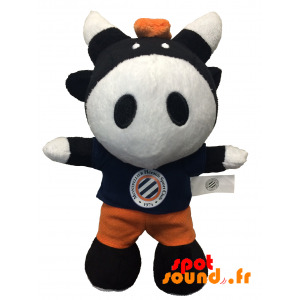 For a supporter, friend, colleague, or for your little sprouts, this guy in orange plush, the Ardennes FCB team, very smiling is perfect! 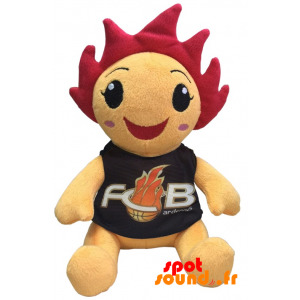 With his jovial head, tender look and flames on his head, he will charm everyone for sure! Choose size, we will manufacture it for you as soon as possible! Pirate stuffed with a big red hat, eye patch and hook. This little boy dressed in pirate will make happy. Your child will live with this plush stunning adventures! Personalize it with accessories and have the size you want. 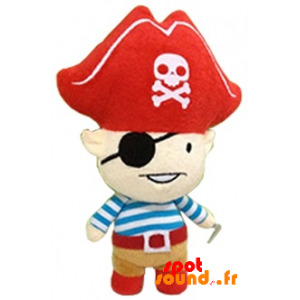 This pirate plush will be custom tailored for you and with our greatest care! Machine washable. To make a nice gift for a birthday party, for cocktail parties or to decorate the house, this beautiful blue and yellow bird, give the best effect to your interior. Very original and quality, exotic parrot will delight young and larger. The dimensions and the holding are customizable. Do not hesitate to contact us if needed ! brown teddy bear, smiling with a sweater Coca Cola. 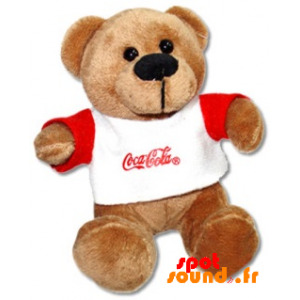 Giant miniature or full size, order this model Teddy Coca Cola and choose its size! It will be custom made for you and with our greatest care! Guaranteed effect! To offer, for a wink or your own children that Coca-Cola will bear attraction for sure! quality fabric! 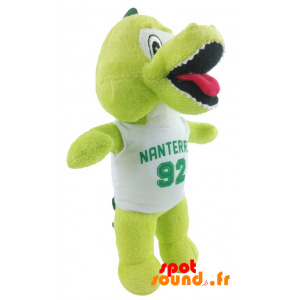 Beautiful green crocodile team of Nanterre. Sweet and endearing, this pretty crocodile, this nice dinosaur, will make everyone happy. 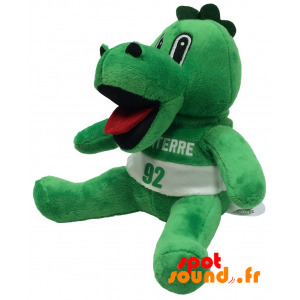 Perfect for a birthday, to give to a friend and ideal for a support team of Nanterre ... If you want to adjust her outfit, take a look at accessories for teddy proposed below. Plush custom made! Small white monster plush white yeti all hairy with blue eyes and a jovial and entertaining air. Children as the greatest fall under her charm and sweetness. Personalize this ball stuffed hair with accessories and have the size you want, it will be manufactured to measure! Funny, entertaining and quality! Washable machine. Cow black and white plush, with a very soft, silky hair. She will accompany every night to your child and will be there to reassure! 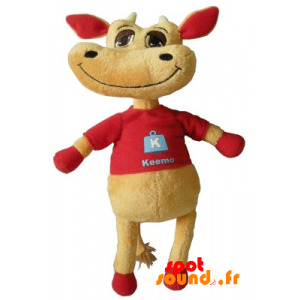 Nice Christmas or birthdays; with this cow plush, the surprise is guaranteed! Add him a superhero outfit and accessories to suit your needs! Cow tailor made for you! 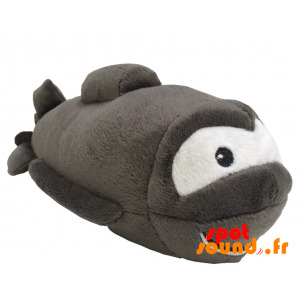 Very fun and original, submarine-shaped gray fish with big eyes, hold your child company. Your little sprouts found in submarine, a playmate with whom he will live great adventures. Fabric softness and realism make him the ideal plush. Envoutant, this underwater shark will be made to measure for you! 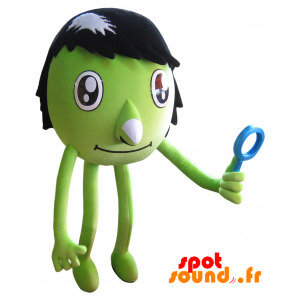 Beautiful plush very fun and original, showing a green man with long arms and long legs. This very unusual brown snowman surprise you with its originality and its beautiful colors! 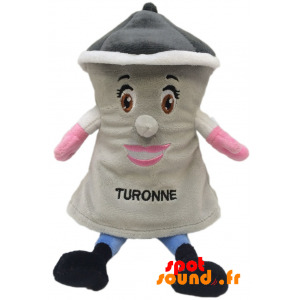 You can embellish this plush to suit your needs with our range of accessories. Indulge ! 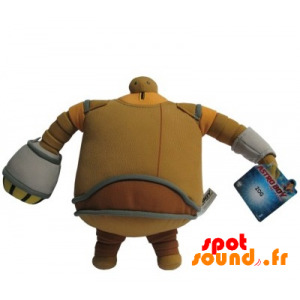 Choose dimensions, you will receive this plush promptly! Very colorful and original, this yellow stuffed cow, will fit both a gift for decorating a shop, a butcher, a farm, a nursery or showcase. Cow very touching yellow, the size of which will be tailored to your needs, then do not hesitate. Very soft and quality, this may be machine washed. Beautiful purple alien with sneakers and a colorful cap. Entertaining and very funny, this lovely purple alien will make everyone happy. Perfect for a birthday, to give a friend or a child ... If you want to adjust her outfit each season, take a look at accessories for teddy proposed below. Alien plush custom made! Choose its size. With its beautiful colors and its large mane, the LCL stuffed lion, will fit both a gift for decorating a shop, a children's room or a window. 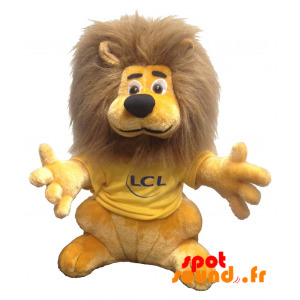 Lion plush, very soft, the size of which will be tailored to your needs, then do not hesitate. Luxurious and captivating, it is perfect for all conditions. Machine washable. To make a nice gift for a birthday, for Christmas or to decorate the house, the koala funny head, give the best effect to your interior. Very original and quality, this exotic plush will delight young and larger. 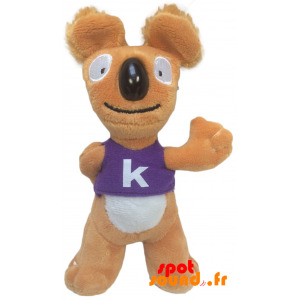 The dimensions and the holding of this lovely koala are customizable. Do not hesitate to contact us if needed ! Very entertaining and so cute, this brown and red cow charm everyone, children and adults. To delight your kids, or just to provide this mignonette cow, will please all occasions. You can embellish this beautiful smiling teddy according to your desires and choose your size according to your needs! manufacturing quality! This is a plush green crocodile will make a great birthday present. 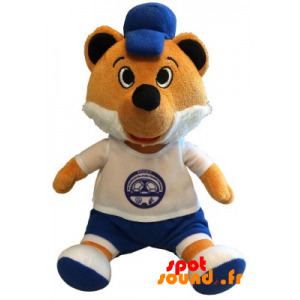 He will become the favorite companion of your child and will make a wonderful gift for a fan of the team. Its very soft texture and big mouth gives it even more charm. Crocodile plush quality, made to order, with the dimensions you choose. 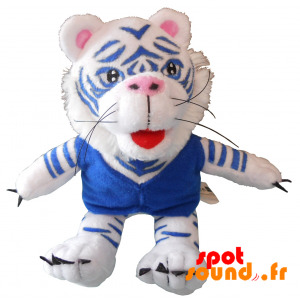 Beautiful plush white and blue tiger. Sweet and quality, this pretty colorful tiger will make everyone happy. For a collection, a parent, a child ... it will make a strong impression. You can add one or more accessories to customize it at will! Also choose the dimensions for a single tiger stuffed in your image! 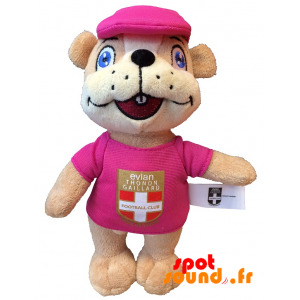 With its beautiful blue eyes captivating, her pink outfit, his cap and his nice smile, this groundhog plush will not go unnoticed! Your child will not be able to separate them. Add him an outfit or accessories for even more fun, and choose its size. quality plush machine washable. Sent quickly and thoroughly after manufacture in our workshops! 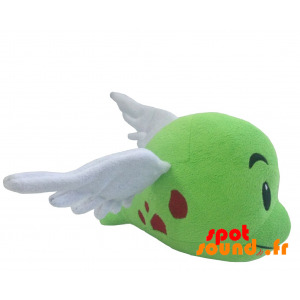 Very fun, pretty and colorful, this Pokemon plush, green tadpole with wings, will not go unnoticed. 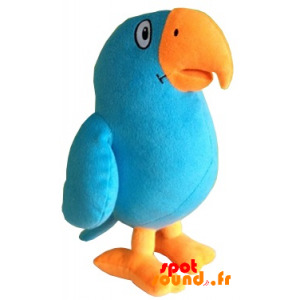 To please a child or friend, this winged creature plush, very original and sweet is the plush you. Buy him accessories for even more fun! Let us know the dimensions, all the fluff are made to measure when ordering! 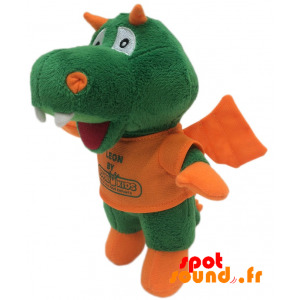 Very entertaining, colorful and pleasant to touch, this green dragon and orange plush, will be happy in all circumstances. To complete a collection, to please your kids, or just to offer, stuffed dragon will please all occasions. very soft plush, custom-made, size of your choice. Personalize it with an outfit or accessories! 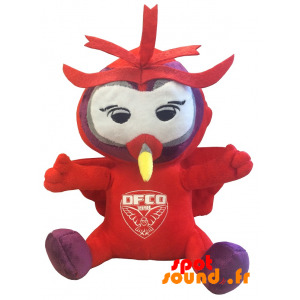 Very original and fun, this red owl with wings, the team of Dijon, surprise everyone, children and adults. To offer, to delight your kids, or just to celebrate a sports event, sports owl will please all occasions. Plush custom-made, size of your choice. Personalize it with accessories for even more fun! 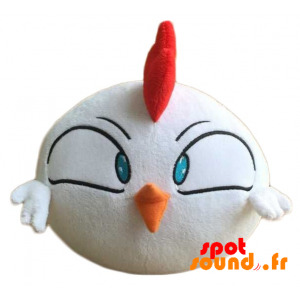 Pretty blond plush, round and chicken funny, very funny and captivating, that will put everyone in a good mood! Your child will be able to hug or a pillow! This hen is very soft and made with quality fabrics for even more fun. Adaptable to the size you want, this is plush custom crafted in our workshops. Stuffed monkey, black and pink, very original, pleasant to the touch and fun. Ideal gift to please a friend, a child, a colleague and in all circumstances! 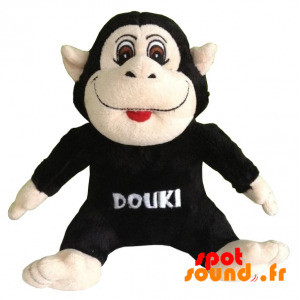 With this stuffed monkey, the surprise is guaranteed! Add him an outfit and accessories to suit your needs! Monkey made to measure for you! Choose dimensions! 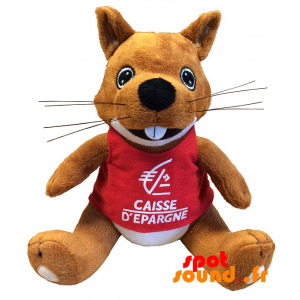 This beautiful brown squirrel Savings Bank will make a great gift. He will become the favorite companion for your child that will bring with him everywhere. Its very soft texture, fun head and his broad smile give her even more charming. quality plush, made with the dimensions you choose. Add her accessories or an outfit for a unique plush!